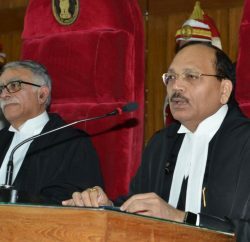 On the issue of violation of labour laws by the industries in the state, the Himachal Pradesh High Court has directed the chief judicial magistrate (CJM) at Solan to conduct inspection of industrial units in the district. The High Court directed the CJM to submit the report to the High Court on whether the industrial units are complying with the provisions of law, particularly with regard to welfare of labourers who are engaged. 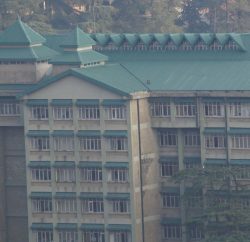 The bench comprising Chief Justice Kurian Joseph and Justice Rajiv Sharma also directed the labour inspector at Parwanoo as well as Occupier/Manager of Crown Technologies, Parwanoo to be present before the Court on September 14. The court passed this order on a suo motu proceeding taken up by the Court after getting an enquiry conducted on an anonymous letter addressed to the Chief Justice pertaining to unfair labour practices in one of the industrial units at Parwanoo. 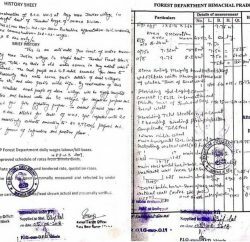 The Chief Justice had directed the chief judicial magistrate, Solan to conduct a discreet and confidential inquiry in the matter.